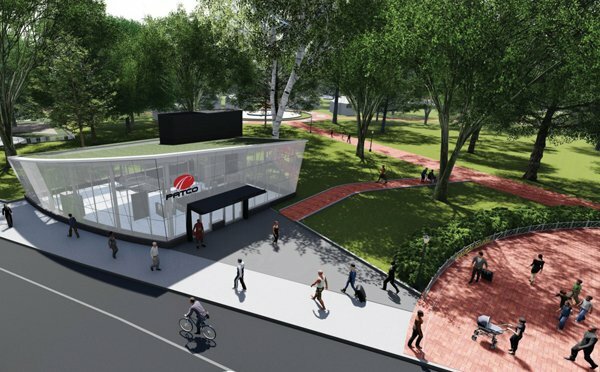 A view of the proposed station, looking northeast. Franklin Square Station on the PATCO Camden Bridge Line opened in 1936 but has been closed since 1979 because of how infrequently it was used. The Delaware River Port Authority has planned for nearly a decade to reopen the station. 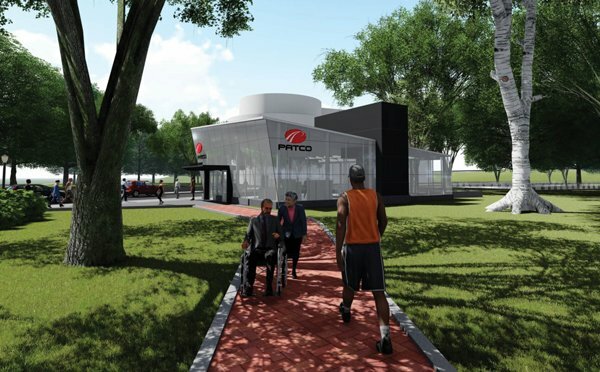 And on Thursday, the DRPA offered a look at the latest designs for what will be a noticeable transformation at the historic Philadelphia park. 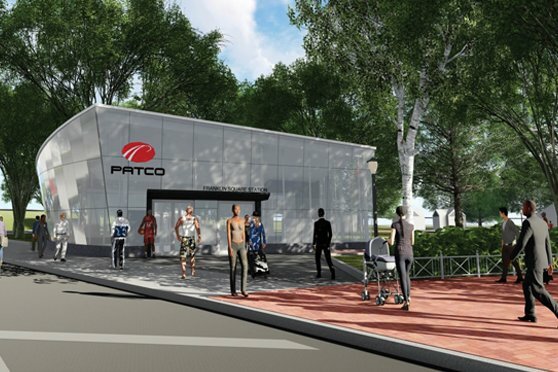 The entrance, planned for Seventh and Race streets, looks a bit space age in its current design, with a metallic exterior and sharp lines, although DRPA told KYW the project is meant to blend in with the park. 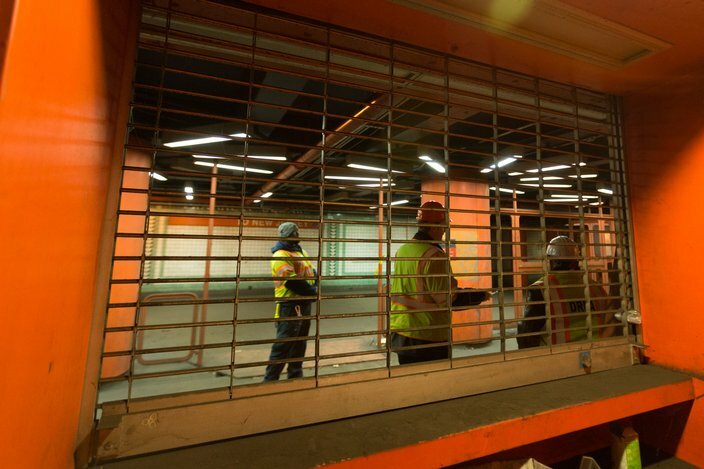 In its most recent update, the DRPA’s website says the construction phase of the plan is slated to begin in April 2020, with the completion date set for December 2022, a full 13 years and five months after it announced a desire to re-open the station. In the end, whenever that finally comes, the project is estimated to cost around $26.4 million. 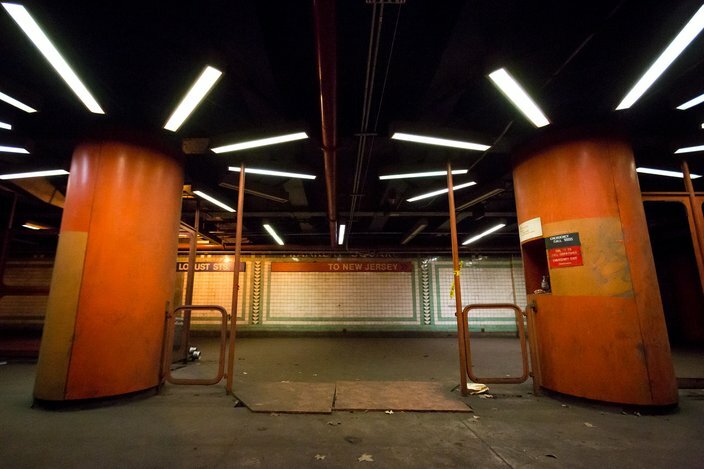 Franklin Square Station, located directly below Franklin Square, has been unused for the better part of its 81-year history. A ticketing window inside Franklin Square Station, Tuesday, Nov. 22, 2016. 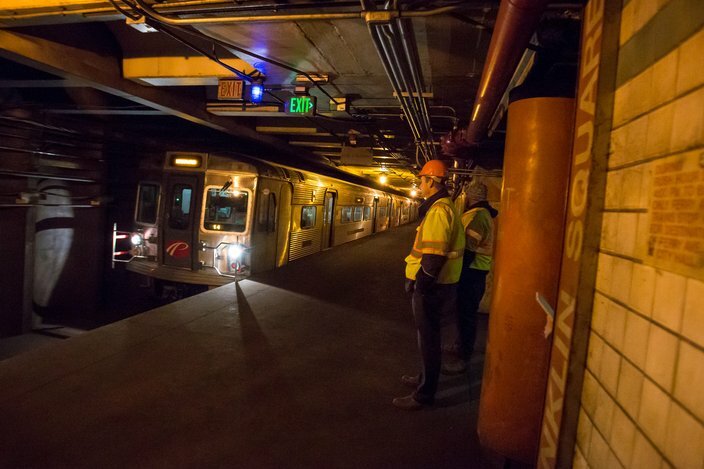 An eastbound PATCO train passes through Franklin Square Station during a tour with DRPA officials, Tuesday, Nov. 22, 2016.